When the 12th and final season of CNN's Anthony Bourdain: Parts Unknown airs this fall, it will look different from previous seasons for one key reason: Chef and author Anthony Bourdain will be present in the episodes, but won't be narrating them. Instead, his various guests will take on that responsibility, as a means of paying their respects to the late Bourdain's memory. And next year, CNN plans to release a feature-length documentary on Bourdain, which is sure to be even more emotional. Vanity Fair reports that CNN is collaborating with Bourdain's production company, Zero Point Zero, for the documentary, which is currently in preproduction. It will likely be released in 2019 and follow a similar path as the CNN documentary RBG (which showcases Supreme Court Justice Ruth Bader Ginsburg's life). It will air at festivals, then in theaters, then on CNN itself. "As well as we knew Tony, because he did reveal himself in the series, there was still a hunger to know more about him, and to honor his work and celebrate him. The documentary format became one of the more obvious ways to go,” said CNN executive vice president for talent and content Amy Entelis told Vanity Fair. Because the project is currently in its early stages, Vanity Fair reports that other details are scant. It would seem that CNN is eager to honor the memory of this globetrotting, life-changing chef, whose suicide in June prompted a massive outpouring of grief from people all over the world. When fans discovered that Parts Unknown was set to leave Netflix on June 16, just eight days after Bourdain's death, they begged the streaming giant to keep the series on longer. Luckily, Netflix listened, according to Entertainment Weekly: the company tweeted an announcement on June 12 promising that Parts Unknown would be available for "months to come." 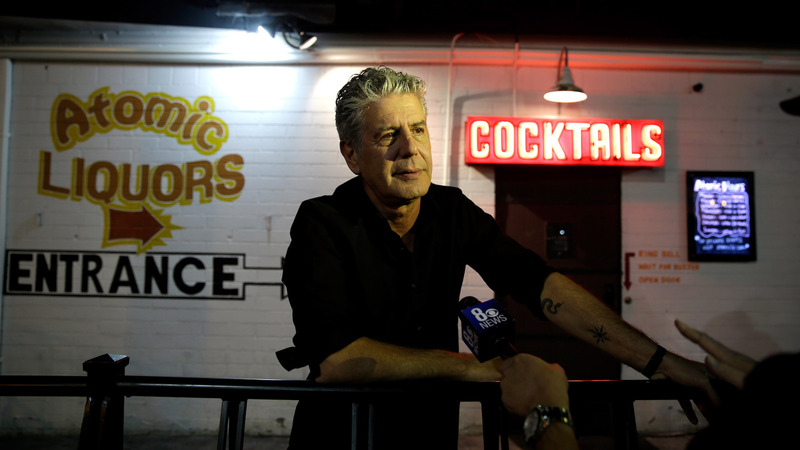 People aren't just tuning into Bourdain's TV work as they grapple with this loss, however. Following his death, book sales skyrocketed, per The Hollywood Reporter, with Kitchen Confidential — the book that blasted Bourdain to celebrity status in 2000 — landing at No. 1 on the Amazon top-sellers list.